Golok River is regarded as the border between Thailand and Malaysia. 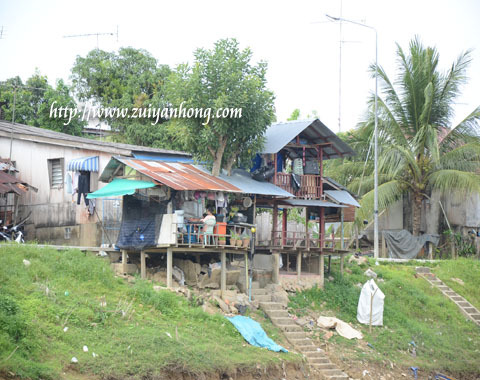 The residents of both banks of Golok River cross the river by motorboat. The fare is RM 1.00 per person for one trip. In case you are not willing to drive to Golok, you can park your car at Rantau Panjang. The car park is next to Rantau Panjang bus and taxi terminal. 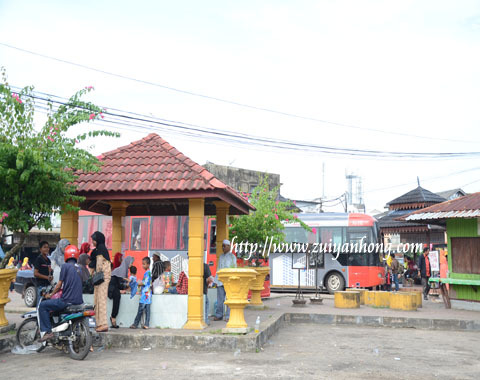 You have two options of getting to Golok from Rantau Panjang. You can either take a motorboat ride or walk across Malaysian-Thai friendship bridge to Golok. 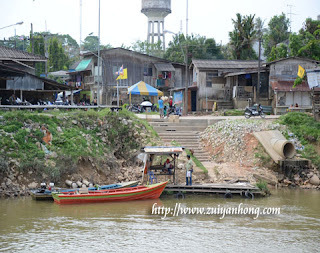 The life of the people of both Golok and Rantau Panjang is relax and simple. Porches are built at the houses facing the river. Family members gather at the porch during free time to strengthen family ties.